Laff, the country's first-ever, over-the-air broadcast television network devoted to comedy around-the-clock, added to its lineup of the most popular and biggest EMMY®-winning sitcoms in contemporary television by licensing the television rights to Home Improvement from The Disney/ABC Television Group. In the multi-year licensing agreement announced today, Laff acquires the rights to broadcast all eight seasons and 203 half-hour episodes of Home Improvement and will debut the multiple EMMY® and Golden Globe®-winning series in September 2018. Loosely based on the standup comedy of series star Tim Allen, Home Improvement ran on ABC-TV from 1991 to 1999 and was one of the highest-rated sitcoms for the entire decade. Allen plays Tim "The Tool Man" Taylor, an accident-prone television host and devoted family man. The series follows the trials and tribulations of family life and stars Patricia Richardson as Tim's wife and Zachary Ty Bryan, Jonathan Taylor Thomas and Taran Noah Smith as his three energetic and sometimes mischievous sons. Richard Karn plays Tim's best friend and co-host of "Tool Time" and Earl Hindman is Wilson, the eccentric voice of reason and the Taylors' neighbor whose face – as a running gag – was always concealed mostly behind the fence separating their yards. The series also launched the television career of Pamela Anderson who played the "Tool Time Girl" for two seasons and then by Debbe Dunning who replaced Anderson. In addition to garnering numerous awards, the popularity of Home Improvement made the series finale the fourth highest-rated comedy series finale of that decade behind Cheers, The Cosby Show and Seinfeld. 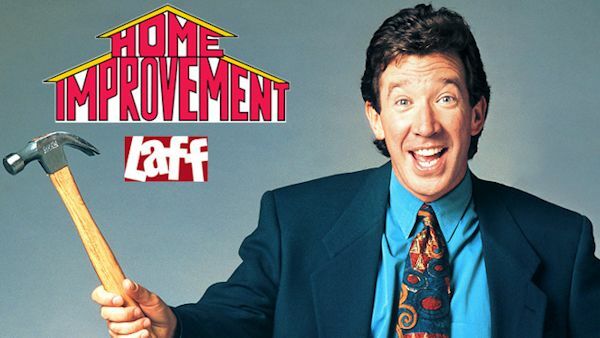 Home Improvement joins Laff's impressive collection of hit off-network comedies including Roseanne, That '70s Show, 3rd Rock from the Sun, The Drew Carey Show, Night Court, Spin City, Grace Under Fire, Ellen and more. Laff airs on the broadcast signals of local television stations and corresponding cable carriage and features a programming mix of contemporary off-network sitcoms and popular movies geared toward an audience of adults 18-49. Laff is seen in 90 percent of the U.S. representing more than 100 million homes and is part of The E.W. Scripps Company. The ABC Television Network has picked up hit comedy revival Roseanne for an 11th season. With just one day of Nielsen's delayed viewing counted, the return of Roseanne saw its Total Viewer count swell by a best of season for any premiere telecast of over +3.4 million viewers to a 21.869 million average audience. In addition, after the first day of playback, Roseanne shot up to a 6.24 rating in Adults 18-49, adding more than 1.0 rating point and over 20% to its Adult 18-49 Live + Same Day number. The timeless sitcom, featuring the complete original cast, new series regulars and notable returning guest stars, explores life, death and everything in between through the relatable, hilarious and brutally honest lens of the Conner household. With the inimitable Roseanne at its epicenter, fresh stories that tackle today's issues and even more laughs from a brilliant cast and crew that haven't missed a beat, audiences old and new will celebrate the homecoming of America's favorite working-class family. The revival has also drawn critical raves, with The New York Times calling it "feisty and funny" and The Wall Street Journal writing that Roseanne is "sparkling." 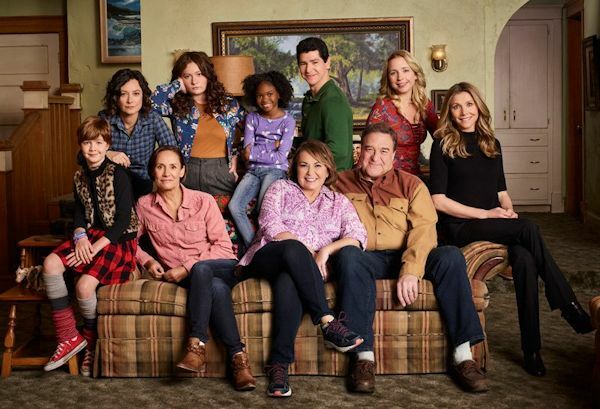 The series stars Roseanne Barr as Roseanne Conner, John Goodman as Dan Conner, Laurie Metcalf as Jackie Harris, Lecy Goranson as Becky Conner-Healy, Sara Gilbert as Darlene Conner, Michael Fishman as D.J. Conner, Emma Kenney as Harris Conner-Healy, Ames McNamara as Mark Conner-Healy and Jayden Rey as Mary Conner. Sarah Chalke, who played the character Becky in later seasons, will also appear in another role. Fan-favorite guest stars from Roseanne reprise their roles in the revival, including Estelle Parsons as Beverly Harris, Sandra Bernhard as Nancy Bartlett, Natalie West as Crystal Anderson, James Pickens Jr. as Chuck Mitchell and Adilah Barnes as Anne Marie Mitchell. Season 10 continues Tuesdays at 8:00pm on ABC.